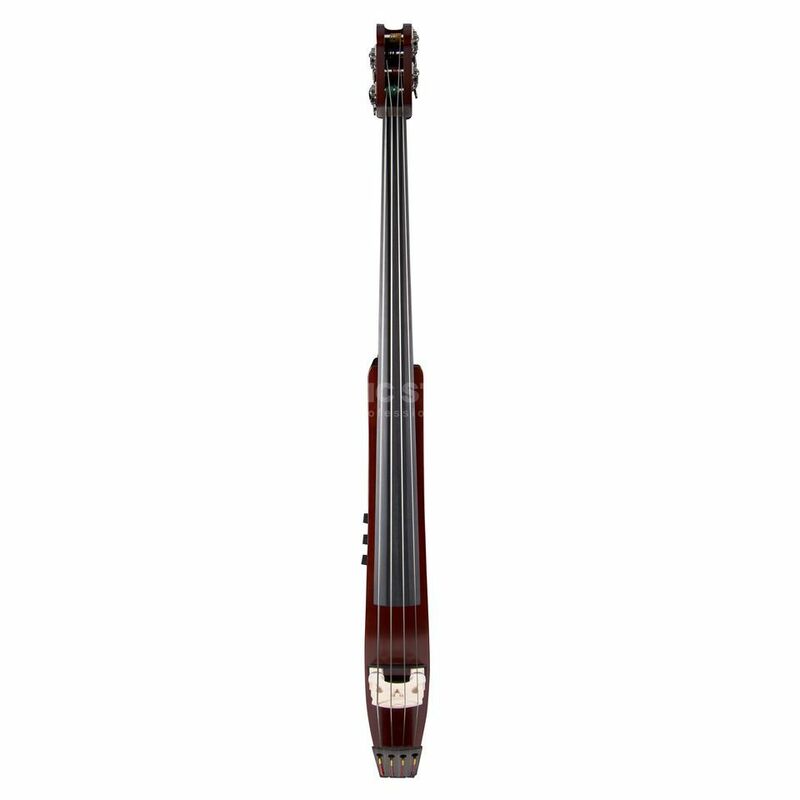 The Yamaha SLB200 Silent Double Bass. Delivers pizzicato tone that is solid, rich, and realistic, and fits naturally into any jazz or pop setting. The Yamaha SLB200 is a performance-oriented bass designed with a compact body that makes transport to and from the gig a breeze. Utilization of a newly developed hollow body design and new internally mounted pickup system deliver pizzicato tone that is solid, rich, and realistic, and fits naturally into any jazz or pop setting. Built-in electronics offer plug and play simplicity and a detachable frame gives the instrument a feel and playability that comes close to the real thing. The SLB-200 features a detachable frame that provides excellent support and comfort when playing the instrument. Frames remove easily to increase the portability of the instrument. The Yamaha SLB-200 is designed so as to allow the entire instrument to break down and fit into a compact case which can be carried comfortably with the shoulder strap. Volume, Treble, and Bass controls on the SLB200 provide straightforward control over the instrument’s tone while the instrument’s active electronics offer plug and play operation without the need of external pre-amplification. A knee support and extension frame are optionally available for the SLB200 to provide greater comfort and support while playing the instrument.